Zoes Kitchen is a Mediterranean restaurant that boasts its all natural food preparations. With its menu inspired by Zoes family recipes and a fresh-from-the-garden style of cooking food, Zoes Kitchen is your go-to restaurant for healthy delicious food. 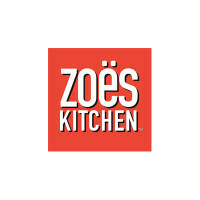 Zoe Cassimus, founder of Zoes Kitchen, was born in the Mediterranean and raised in the South. Establishing the restaurant was a no brainer for Zoe since her lifetime of serving food to family and friends gave way to her dream of cooking healthy meals for more people to enjoy. Zoes Kitchen has a reputation of serving fresh meals that were made from scratch and has a unique practice of not frying their food; instead, their way of cooking Mediterranean-inspired food is mostly by grilling. If you are more conscious especially when it comes to your diet, Zoes Kitchen will be a perfect choice for you since, not only do they serve gluten-free food, they also have vegetarian and vegan options. Zoes Kitchen catering promises to deliver great delicious meals straight to your doorstep. Organizing an event for huge groups includes serving meals to people with dietary restrictions. While some people are vegetarian or vegan, others need high protein food and catering to all those needs is made possible by Zoes Kitchen catering. Zoes Kitchen makes entertaining easier with their food intended to fill anybody’s stomach taking into consideration every lifestyle. People love how their food is both satisfying and good for you. Be it a simple gathering with your friends, or a big party for your coworkers, Zoes Kitchen is committed to give you the most convenient way to entertain your guests. Zoes Kitchen made it even easier for you to avail of their catering services. First thing to do is to visit their website, provide the required information and one of their staff will get in touch with you within 24 hours to assist you in having a personalized package that will suit your event’s needs. Occasion themes are available on their website for your reference. Some of their occasion themes are Summer Soiree, Vintage Circus Birthday Party, A Home Team Celebration, and Girl’s Night In. Zoes Kitchen catering has also made party packs so it will be easier for you to choose the food to be served to your guests without taking much time to go through their menu one-by-one. Not only do they serve you healthy delicious food, they have also partnered with The TomKat Studio to help you have a stylish party. Take note that you will have to wait for their staff to reach you via email, although they respond within 24 hours, it will be advisable to place your order at least 24 hours before the date of your event. Zoes Kitchen catering is loved for their healthy, gluten-free, and vegan options when it comes to their delicious meals. One of their bestsellers is their Chicken Kabobs which includes chicken, rice pilaf, Greek salad, and pita bread. Their Protein Power Plate is also recommended by their customers since it is as good as their Kabobs but can be prepared much faster. Their vegetarian options include Veggie Kabobs, Hummus and Pita Bread. When it comes to pricing, estimated costs for small groups will be around $70-100 while for mid-sized groups, estimated pricing is around $115-120 and for large groups, costs are around $140 or more. Zoes Kitchen delivers your order to you making it even more convenient and hassle-free. Their prices are a bit high compared to other catering services but the quality of their food is unquestionably higher than the others.